Why Did Sean McDermott Let Ronald Darby Go? Last Friday saw the Eagles lose wide receiver Jordan Matthews and a third-round pick in 2018 for the sake of bringing cornerback Ronald Darby on board. The decision had merit. After all, Darby is not only young, but he is skillful. And one can expect his presence to have an impact on the Eagles betting odds for the 2017 NFL season. But one cannot help but wonder why the Bills were willing to let him go. Ronald Darby made a pretty impressive debut on Sunday morning at Eagles training camp. Clearly, the 23-year-old is everything the Eagles expected, and a breath of fresh air that will revamp the position. Once he settles into his new team and gets into the rhythm of things, one can expect great things from Darby. In the same breath, it is worth pointing out that each of his first three seasons saw Matthews garner over 800 receiving yards. So, it isn’t like the Bills were not properly compensated. One assumes that the third-round selection will do wonders for them in the future. But none of that changes the fact that Darby is a skilled player with the ability to deliver results right now. One couldn’t be faulted for wondering what drove the Bills to shop him around. According to sources that understand the game of football, strategy might have been the deciding factor. Corey Graham is an Eagles safety, but he used to play for the Bills. In fact, Graham played alongside Darby. And he reckons that Darby simply isn’t necessary for Bills head coach Sean McDermott’s plays. All signs point to the first-year coach using more zone coverage this season. McDermott has a thing for Cover 2 or 3 coverages. Those don’t really leave corners in one-on-one situations. McDermott had time to perfect his strategies while working under Jim Johnson, a former Eagles defensive coordinator. McDermott obviously recognizes Darby’s strength as a young player with great speed. He also knows what Darby can do when it comes to man-to-man coverage. McDermott would have followed Darby’s progression during his college and early NFL years. However, McDermott probably realizes that Darby isn’t a necessity when it comes to zone coverage. 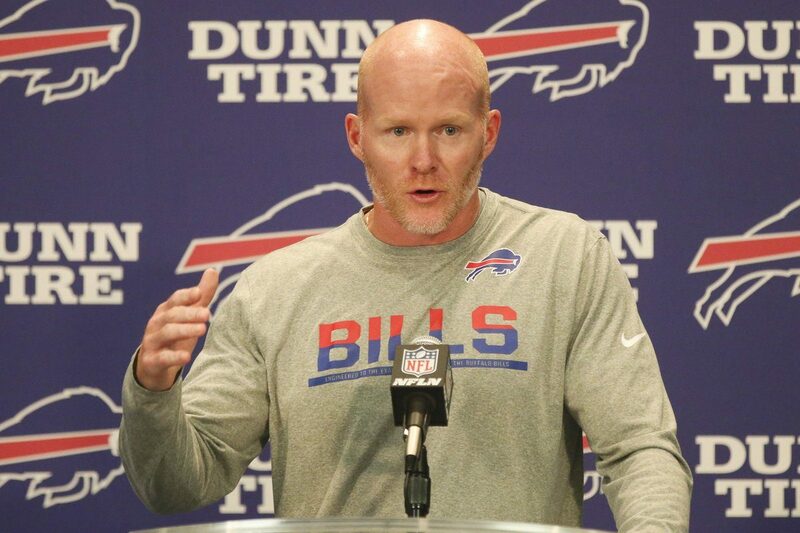 In fact, the team doesn’t really need another person of Darby’s skillset to push McDermott’s plans through. Any competent defensive back will do when it comes to zone coverage. The team won’t be too badly hurt as a result. The sentiment might seem a little arrogant, but it is true. There is little point in paying someone like Darby so much money to do a job that any mildly intelligent safety could do. It becomes easier to understand McDermott’s thinking when you look at his past. As a Panthers defensive coordinator, he was happy to let Josh Norman go when someone else would have fought for him. He was just as unenthusiastic about keeping the Bills’ Stephon Gilmore. McDermott doesn’t let the star power of players distract him from what he considers to be the bigger picture. Clearly, he looked at Darby and determined that, even with all his talents, he was an expendable athlete. That couldn’t have done anything good for Darby’s self-esteem, though he will probably shine with the Eagles.